Comments: The Mt. Ayre Cemetery, sometimes called Mt. Air Cemetery or Gilmer Cemetery, is located near Keene, Virginia, just northwest of Scottsville; it is situated on a privately owned farm. As of August 2006, the cemetery contained approximately 31 gravestones and several unmarked graves. 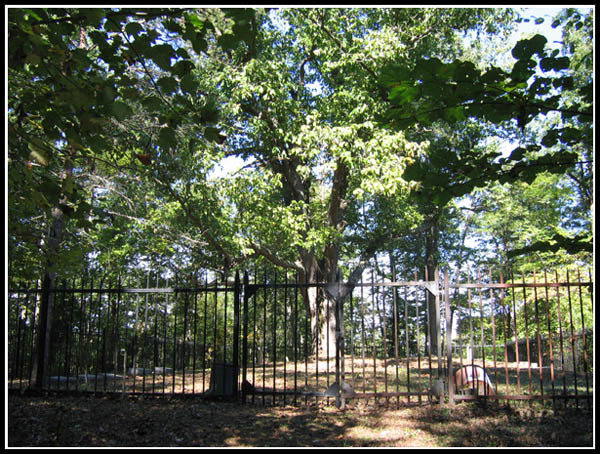 Many of the Gilmer family, early settlers of this area of Albemarle County, are buried here. Some of the more interesting gravestones include that of Christopher Hudson, a Revolutionary War Soldier, and Thomas Walker Gilmer, the former Governor of VA (1840-41), a member of the U.S. Congress (1841-44), and Secretary of the Navy, who was killed in the gun explosion in February 1844 aboard the USS Princeton. Also buried in this cemetery is the Civil War veteran, George Walker Gilmer, who volunteered as a private in Co. C, 2nd VA in June 1863, and was wounded in the eye and shoulder at Gettysburg. Although he was captured at Gettysburg, imprisoned, and later lost his eye due to infection, Gilmer joined the 43rd Cavalry (Mosby's Rangers) in early 1865. In Memory ... Mary Gilmer Hudson? Note: Monument is broken; foot stone has M.G.H. on it. The gravestone listing of Mt. Ayre Cemetery was compiled by John and Callie Bowers in August 2006 as part of Scottsville Museum's ongoing effort to record local church and cemetery records.